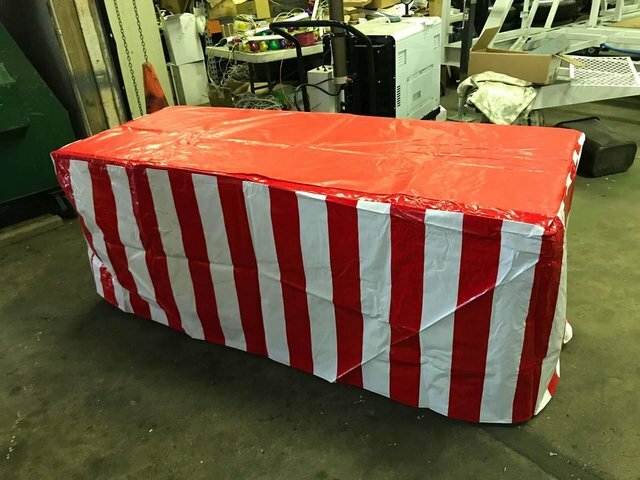 Jump And Slide is proud to offer you optional EXTREMELY popular Carnival red and white stripedVinyl table covers to rent. Your carnival will look much more exciting and professional. even if you are just renting carnival games. These great Carnival table covers are in-expensive and will make your event a huge success!